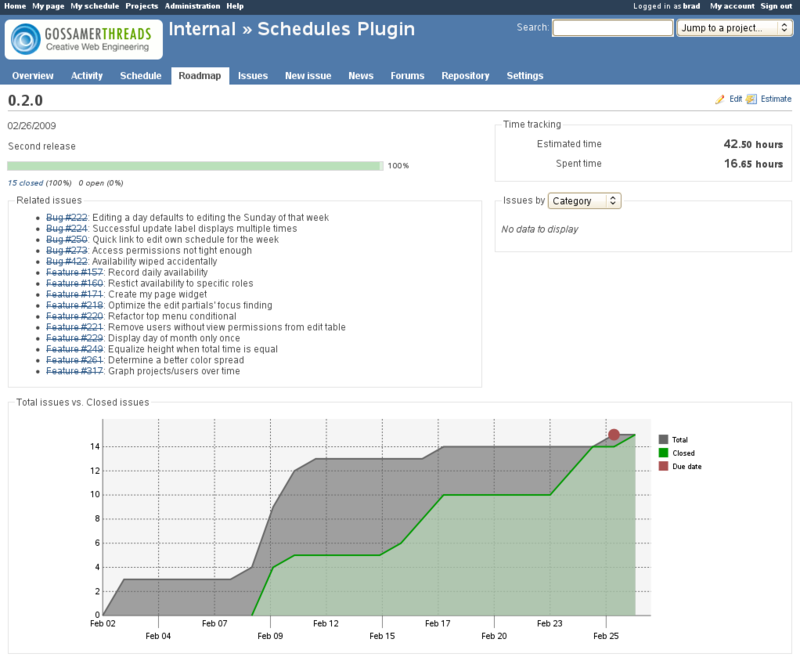 This is a plugin for Redmine provides additional graphs for the system. As of the first release, the following graphs are included. Download the archive file and extract it to your vendor/plugins folder.